This post was originally posted in Norrag's website. After over two years of research and engagement, 88 organisations published an open letter on the 1st March 2018 calling on the 24 known investors in the US-owned multinational chain of private schools Bridge International Academies to withdraw their investment in the company. This has been a difficult decision – calling for dis-investment must be a last resort. The threats posed by Bridge to the right to education and the rule of law are so grave, setting a risky precedent, and there has been almost no improvement for so long, that we have come to the conclusion that investors must take bold action to address the issue. Bridge operates over 500 so-called “low-fee” private schools in four African countries – Kenya, Liberia, Nigeria and Uganda – and in India. However, evidence has shown major concerns regarding the company, including for instance an ongoing failure to respect the law (all Bridge schools were closed in Uganda and schools are also being closed in Kenya due to lack of compliance with standards), poor labour conditions (staff working over 60 hours a week for around 100 USD), and lack of transparency. The letter sent on 1st March lays out these concerns and others. It can be read in full here, as well as the summary of evidence it refers to here. The same day the letter was published, Bridge issued a public response. In its letter, Bridge asserts that it wants to work with governments in order to meet applicable laws and regulations – and accuses the Government of Uganda of not acting “in good faith”. The company has repeatedly claimed to “actively partner” with governments and that it follows procedures. However, a public statement from the Ugandan Minister of Education herself detailed the consistent failure by the company to meet basic standards enshrined in law in the last 18 months. It also clearly outlines the efforts made by the Ugandan Government to constructively work with Bridge, including through several rounds of inspections and reports and several opportunities for the company to respond. Official letters from the Ministry of Education in Kenya from June 2017 and August 2016 as well as a public statement from June 2015 demonstrate a similarly consistent pattern of failures of Bridge to meet the Kenyan Government’s repeated reasonable requests to meet basic education, health, and safety standards for several years. Bridge claims it is “a strong advocate of free speech”. However Bridge has gone so far as facilitating the arrest of an independent researcher trying to find out more about its operations, as was reported by the Washington Post, whereas it had no evidence of accusations against him. In Kenya, Bridge tried to silence the main teachers’ union and its Secretary General, with a petition to obtain a gag order, but the first phase of the petition was dismissed by the court. Previously, Bridge has sued or threatened critical organisations, such as the head of the Complimentary Schools Association in Kenya, even where they raise valid facts. Particularly disturbing is Bridge’s use of the Sustainable Development Goals as rhetoric to claim that the company helps children who would not otherwise attend school. There is no evidence that Bridge is helping access to education for out-of-school children. To the contrary, it has been well-researched that fees are the primary barrier for out-of-school children to enrol in education, and Bridge schools’ costs make the schools inaccessible to the poorest in Kenya, except the small number receiving sponsorships (see the calculations p.41-50 and in the appendix 8, based on Bridge’s own documents in appendix 7, in this report). Since Bridge schools are mostly located in populated areas where there’s no shortage of schools, it is highly unlikely that Bridge has any positive impact on enrolment. Rather, Bridge competes with other schools, including government schools, such as this one in Kenya – where the Bridge Academy is just a few metres away from a public school. Closure of schools is a last resort when a private provider is not complying with appropriate laws and standards, such as in Uganda. In this situation, donors and investors should support governments in their efforts to ensure all children access to free and quality education and ensure proper planning and communication with authorities to mitigate the negative impact on communities during transition process. This does not mean there should be no private providers, and there are some community schools that play a useful stop-gap role. But experience shows that there cannot be a solution for access to quality education for poor children without improving and developing public education. Operators like Bridge hinder the progress towards a long-term quality public education sector. Instead of working with Bridge, there are many things that concerned donors and investors can do. Aid agencies should increase funding to public education, and where there are concerns of transparency and accountability, they can support local civil society – rather than companies that are reluctant to subject themselves to outside scrutiny. Investors in private companies can also play an important role for instance by ensuring that their investees pay their fair share of taxes in the Global South countries where the investee operates, or by encouraging the development of non-educational services that have been proven to improve teachers’ welfare, such as access to banking services. This is not about ideology. Our position is based on rigorous, verified evidence. All of the above is evidenced by official Government documents, reputable newspaper articles, court documents, and information from Bridge itself. Additional primary data collected by non-governmental organisations are also available. Finally, we deeply regret that Bridge constantly avoids responding to these specific issues, and instead engages in negative rhetoric and attacks against teachers’ unions. A wide range of organisations and individuals are deeply concerned by Bridge’s current practices and the potential expansion of their model to other countries in the Global South. This includes community-based organisations, education organisations, human rights organisations, development organisations, and even other non-competitor private providers, as well as the United Kingdom parliament, the United Nations, and the African Commission on Human and Peoples’ Rights. The various networks that signed up to the letters represent hundreds of other organisations around the world, who work daily with populations deeply impacted by the burdens of poverty and inequality. We invite investors and the concerned public to review the evidence presented above and in the letter, including Government and Bridge’s official documents, as well as court cases. We trust that, with the full knowledge of the facts, reputable investors will not conceive supporting a multinational company based in a tax haven acting illegally and charging fees to poor families in developing countries to deliver low quality education with poor labour standards. We now hope and expect investors will act responsibly in accordance with their legal obligations to cease funding any company whose actions seriously damage the right to education and undermine domestic and international human rights law. We are open to meeting and discussing these concerns on the basis of this evidence. This post is the latest response in a series of exchanges between Bridge International Academies and a large number of organizations who have been challenging the programme in recent years. This latest response is co-signed by 113 organizations and highlights substantial concerns regarding the right to education of children in countries where Bridge operates. These concerns led to a call for withdrawing investments from the Bridge programme and perhaps crystallize one of the most salient points of contention within the debate on the right to education; is the ‘Bridge model’ of low fee private schools supporting the right to education? While both parties take a right to education rhetoric to articulate their argument (see for instance this previous blog post by Bridge International Academies), organizations call, in this letter, for Bridge International Academies to engage in a more factual discussion and for investors to consider existing evidences of all effects of the programme including damaging effects on the poorest children and their families and on national education systems. The initial call on investors can be found here, the most recent from March 1st 2018 here and Bridge International Academies response here. We are glad to see the signatories of this letter recognise that investors in Bridge are genuinely concerned about children in poverty, and that they acknowledge the need for significant improvements in education across many low and middle-income countries. We stand on common ground with them in wanting to see children in some of the most challenging environments given the opportunity to learn. At last count, nearly 600 million children were being failed, either through not being in school or being in schools where learning is not happening. Although we note that most of the so called signatories do not work in our territories and have never had any engagement with Bridge, let alone visited a Bridge school. The reasons behind today’s global education crisis are numerous and complex: fragile states, conflict, weak government institutions, school shortages, and ineffective management, to name only a few. In this landscape, there is no single magic solution to the education situation. It will take a full spectrum of actors and influences, across governments, international bodies, charities, companies, faith groups and more to make real lasting change. We know that Bridge is only one small part of the overall effort to improve outcomes for children in the developing world. Yet, as Bridge empowers children from families living below the global poverty line to flourish, and become leaders in their own communities and countries, the work we do disrupts the status quo; by demonstrating that schools on limited budgets can still have the resources to support teachers with extensive training and learning resources. Today’s status quo of 600 million children either out of school or attending schools where learning is not happening is simply unacceptable. We are very proud of the work we do and I’m delighted that our investors have independently recognised the current and future contribution of Bridge. We believe, as do our investors, that effectiveness should be measured on outcomes and in the case of education, learning gains. It should be noted that most of the reports and evidence collated in this report were commissioned by Education International and their affiliates and has largely been rebutted previously. These organisations openly campaign against education reform and are avid protectors of the status quo; the reliability of their assertions is fundamentally undermined by this starting premise. Bridge schools are open and delivering quality learning across our territories, educating 100,000 children. In the past there have been misunderstandings about Bridge, due to the spread of misinformation originating from those who wish to pursue ideological arguments rather than focus on how to benefit children quickly and effectively. False allegations about Bridge are used to try and discredit a model of high quality, affordable education that threatens some stakeholders with vested interests. Today, there is no government attempting to close Bridge. We have directly explained and shown African ministers and civil servants the reality of our good quality schools and our desire to help governments improve education access and quality by complementing their overall mix of nursery and primary school provision, and where partnerships exist, serving the government directly in public schools. All Bridge schools meet local government standards for safety and cleanliness and Bridge fully complies with all national laws. All Bridge buildings are safe and meet local standards and legal requirements. But Bridge believes that school performance should be measured by outcomes not inputs. We don’t focus on the aesthetic appearance of our schools, but rather the teaching that is happening in our classrooms and the learning gains achieved by our pupils. Keeping our buildings simple keeps costs low for parents and allows us to focus investment in teacher support and R&D of teacher and learner resources. Allegations have been made in the past and these were unfounded. We take our responsibility to keep our students pupils safe very seriously. As should all schools. Any individual found repeatedly on Bridge premises using a false identity will be taken very seriously and reported to the appropriate authorities. This is not a question of transparency, it is a question of safety. There have been numerous independent assessments of Bridge schools and pupils, which have shown positive results, and there will be many more independent evaluations. The growing evidence from internal and external studies shows Bridge students learn more than their peers at traditional public schools. Bridge students do better on tests that matter. Passing the Kenyan Certificate of Primary Education (KCPE) exams is required to graduate from primary school, and to attend government secondary schools. In 2017 Bridge pupils scored 10% points more than the national average, this is the third consecutive year that Bridge pupils have sat the KCPE and outperformed their Kenyan peers. In Uganda, 100% of pupils who sat the 2017 PLE passed. Furthermore, over 93% scored in Division 1 or 2 compared to just 56% nationally. 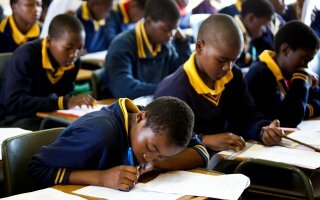 In Liberia an Independent RCT by the Centre for Global Development and Innovations Poverty Action found that pupils in the partnership schools for Liberia learning increased by 60%; at Bridge pupils learning increased by 100% We are confident that every country we operate in will replicate this success when pupils sit the national exam. In addition Bridge is participating in a separate randomised controlled trial in Kenya led by Michael Kremer (Harvard), along with other economists from UVA, the World Bank, and Columbia University. We look forward to continued partnerships with economists and the education research community in the years ahead. The President of the World Bank, Jim Yong Kim, said ‘one of the most effective ways to encourage investment in the extreme poor and improve health and educational service delivery is accountability’. He went on to say that in Bridge International Academies ‘after about two years, students’ average scores for reading and math have risen high above their public school peers.’ We support evidence-based decisions and policy-making, and have been supported by shareholders and partners that also look to evidence to solve the world’s greatest social justice crisis today: that 600 million children are either out of school or in school but not learning. We must disrupt the generational transfer of poverty through schools that fulfils their role to close the achievement gap. All Bridge teachers are trained to teach, and we meet or exceed government quotas for use of registered teachers. Each country in which Bridge operates has different qualifications and requirements for teachers. Bridge adheres to all of them. We provide high-quality professional training and support for all of our teachers, both after they are hired but before they enter the classroom, as well as throughout their careers. Bridge runs a carefully designed pre-service training program, and supports its teachers with continuous professional development programs both inside and outside the classroom. The training prepares teachers in subject fundamentals, conducting interactive lessons, leading small groups and 1:1 instruction, to use a variety of effective teaching techniques, and become comfortable with technology for records, lesson materials, and communication. The UN estimated that 69 million extra teachers will be needed to reach the 2030 goals. A recent World Bank report indicated the average teacher absentee rate in Ugandan classrooms was 56%, and in Kenyan 47%, while in Bridge the rate is about 5% and 1% respectively. Many of our pupils attend a Bridge school for free – the 10% are on full sponsorships. All Bridge pupils in Liberia attend a Bridge-managed public school for free. Bridge locates its schools in poor communities in developing countries. Bridge’s affordable fees mean that the vast majority of the families near our schools can afford to send their children to Bridge. The global average fee for Bridge is approximately $7 USD per month per child. In country fees are clearly and transparently displayed at every Bridge Academy. In countries such as Liberia, where Bridge is part of Government Public Private Partnership, parents don’t pay fees. Of course, despite the very low fees there will always be those who struggle. As such, Bridge runs an extensive scholarship programme. 10% of our pupils are on full scholarships and attend Bridge for free. We welcome additional scholarship support. It is important to note that many public schools in the countries in which Bridge operates are not actually free – they often charge a wide range of fees for “admissions,” “teacher motivation fees,” “PTA fees,” etc. As such, Bridge is sometimes less expensive than so-called “free” public schools. Parents have the right to choose whether or not to send their children to Bridge and decide for themselves whether they wish to invest in education. Parents always know what our low fees are before they decide to enrol a child, and we defend their right to make choices. Our fees are affordable to the vast majority of families that live where Bridge establishes schools, which is why Bridge is popular. All pupils are welcome at Bridge, we do not have a selective entrance policy, and we do not “cherry pick” pupils to sit national exams. Bridge admits children without regard to their previous mastery of material within a wide age-range for each grade. This is necessary since many children arrive at Bridge after having been out of school for months or years, or not yet enrolled in school. Given that children come to Bridge often years below grade level, to support a child’s mastery of foundational concepts, we may advise a parent that it will serve the interests of the child to repeat a grade. This decision is at the discretion of the parent. At the end of the academic year, during the parent-teacher conference, a child’s teacher may have a conversation with parents whose child(ren)(s) assessments have demonstrated that their child is unprepared for the challenges of the next grade. Our policy is the same for Class 1 students and Class 7 students alike. Whether a child remains in the same grade level for another year or moves on to the next grade level is entirely the decision of the parent. We are helping the Kenyan government, and other governments, to improve the way they regulate the many thousands of independent school operators. In Kenya, Bridge has participated in government-led stakeholder dialogues and conferences on both national education reform and on the guidelines for non-formal schools, now called Alternative Provision of Basic Education and Training (APBET). These guidelines were designed to enable the Ministry of Education to register the thousands of non-formal schools serving 2 million children. Bridge is also part of the Kenya Institute for Curriculum Developments’ piloting of the new national syllabus, with our school in the rural village of Kinna, Isiolo County being selected for participation amongst the 470 schools in the pilot nation-wide. Bridge pupils shine in various government school competitions, from athletics to choral and drama performances. At the 91st National Music Competition, 170 Bridge pupils performed, 26 scored in the top 3 nationally in their category of performance, and one pupil placed 1st in the nation. In Liberia, Bridge is one of 8 government partners delivering the Partnership Schools for Liberia (PSL) initiative, enabling the improvement of the primary education system across the country. Government partnerships in both Lagos, Nigeria and in Andhra Pradesh also evidence the productive relationships that Bridge enjoys with governments across Africa and Asia. Bridge believes investment capital deployed toward addressing one of the world’s most pressing problems is a positive force in development. By demonstrating that high performing schools are possible even on a developing country’s limited budget, Bridge has enabled governments to make informed decisions on how to improve learning. Bridge is fully transparent in Liberia and elsewhere. The Government of Liberia and Ministry of Education (MOE) asked the world to contribute to improving its public schools through bringing in new donor support. This is an effort to be applauded – and those donors who have come forward to support Liberia are to be celebrated for their commitment to creating a strong, high-performing school system and future for Liberian children. Specifically, PSL and its revolutionary aspirations for education have attracted and enabled new philanthropic money to come into the country. As part of this, Bridge PSL has been able to attract philanthropic support that has enabled us to create visible and measured change in learning for children across the public schools we serve and provided over 29,673 textbooks, 16,000 teacher guides and 3,500+ desks. PSL was never envisaged as a single operator program. Bridge was the inaugural partner within the PSL initiative, after having undergone vetting by various offices and Ministries in Liberia. After PSL was inaugurated, the Ministry rightly sought additional partners to grow the program so that more children could benefit from greater spending on education by donors, and greater attention and support to public schools. Contrary to the claims, this was a transparent process. President Sirleaf and the Ministry hosted a national education meeting in January 2016, seeking input from all stakeholders in education which informed the creation of the PSL program. An additional national education meeting was hosted in April 2016, and then halfway through the first year of the program, a third major national education meeting was hosted in February 2017. We believe this is demonstrative of the Government of Liberia’s commitment to good governance and inclusive policy making. PSL is a government program, as such teachers are on the government pay roll and class sizes are determined by the Government framework. The MOE has also commissioned two essential bodies of research to inform policy on PSL. The first is a study comparing the differences in learning over time at six Bridge PSL public schools and six independently selected traditional public schools. The second study is a randomised control trial comparing all the partners in PSL with 94 other traditional public schools that is due in August 2017. Bridge PSL is proud to be a partner in Liberia and happy to engage in meaningful debate but will rightly seek to correct misinformation about the program. Every day we remember that we are here in service of the needs of Liberia’s children. We stand ready to continue our support for, and work with, the Ministry’s bold and visionary reforms. A UK Parliamentary committee recommended more learning gains evidence about Bridge be considered prior to further government investment, which we welcome. Of course, investors must weigh up the evidence before investing in any organisation that claims to be helping children in developing countries. We encourage all donors to continue to make their investment decisions based upon learning gains and to look at the amazing results being achieved by Bridge pupils across Africa. We need to take a step back from this argument and see the bigger picture. In many developing countries, millions of children are not in school, and many of those who are, receive inadequate education. Specifically, the Education Commission estimates there are 263 million children and young people not in school and a further 330 million in school but not learning. In addition, UNESCO states that an extra 69 million teachers are needed to achieve the UN education goals for 2030.There is a real need that must be addressed urgently. Bridge believes there should be truly great, truly free public schools. However, in reality, this is far from being the case, so Bridge seeks to help address the huge education imbalance between what is available and what is needed right now. By demonstrating that high-performing schools are possible even on a developing country’s limited budget, Bridge has empowered governments and others to make informed decisions on how to improve learning. Far from acting separately from government or taking government “off the hook,” Bridge is already an education partner in many countries, helping governments to address educational shortfalls and improve learning outcomes. We trust that with the evidence in hand, organisations that may have had false information will now work with Bridge and other schools in partnership to ensure that all children have access to attend a transformational school. We look forward to working with partners across the globe to close the achievement gap for children in the developing world. Let us all focus our efforts and attention on how to improve the lives of hundreds of millions of children.